Are you an avid skier heading off to your favourite winter wonderland this year, or maybe you want to hit the slopes for the first time? 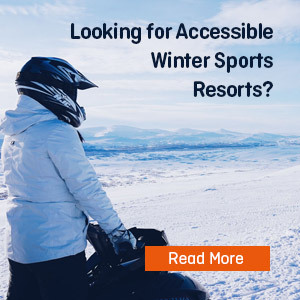 Wherever you are planning to go, be it marvellous Meribel, Verbier, Zermatt, Whistler or any of the other stylish ski favourites, you might like to take a look at alternative ski destinations before booking your next trip. 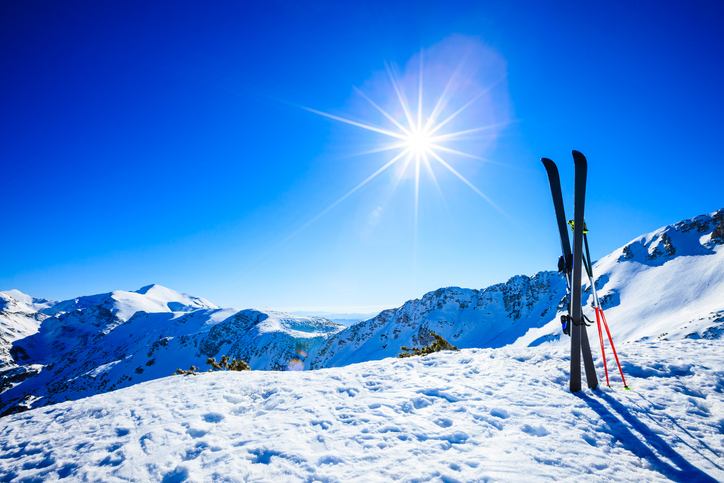 And if you’re new to skiing, it’s also well worth investigating unique, often more economical places in which to practise your snowploughs (investigate your ski travel insurance too). There are plenty of well-equipped, effortlessly chic ski resorts to choose from, often catering for all levels of skiers. They may not be famous enough for name-dropping yet, but they are much easier on the pocket and many don’t compromise on quality either. Sweden is barely ever mentioned when it comes to ski destinations so when Åre was voted one of the world’s top ten ski resorts, it turned a few heads. At over 1,270 metres, Åre’s highest run ascends nearly one kilometre above the town and provides a greater vertical drop than any other ski resort in northern Europe. With 89 slopes and red runs as challenging as any in the Alps, the resort satisfies all levels of skiing. What’s more, it offers guaranteed snow from December to May and, as importantly, it has more nightlife, finer dining, more après-ski and more history than neighbouring Norway and Finland. For non-skiers, there’s dog-sledding, ice climbing, a moose farm, saunas and boutique shopping to keep everyone well entertained. This ancient village sits modestly in the Grand Massif, an area that hosts 265 kilometres of relatively crowd-free pistes. Samoëns is traffic free and centres round a beautiful square. A weekly market and gourmet shops selling local cheeses and patisserie make for that authentic French experience, and all just an hour’s drive from Geneva. The longest run is the 14 kilometre Les Cascades blue run from Grandes Platières (2,480m) to Sixt via the pretty refuge at Lac de Gers. For beginners and intermediate level skiers conditions are ideal, while there’s plenty to satisfy experts too – try the Gers bowl with its 800 metres drop of off-piste skiing. For a break from the slopes, there’s always the famous Alpine botanical garden as well as several excellent, great value restaurants – pleasures you may never have in some of France’s more expensive resorts. The village of St. Martin de Belleville in The Three Valleys (Les Trois Vallées) region of Savoie retains a quintessential French farming atmosphere, where the locals make cheeses, keep chickens and smoke their own hams. And if it’s good skiing you are after, there’s plenty to keep intermediate level skiers well entertained. 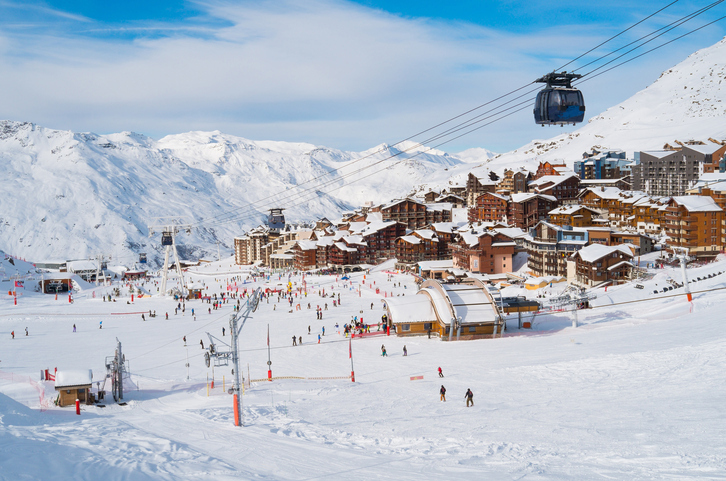 Skiers enjoy the 600 kilometres of slopes descending to Meribel and Courchevel, as well as the quieter slopes of the Belleville Valley. The skiing, combined with the simplicity of local gourmet cuisine while dining under old vaulted ceilings, makes for a memorable French experience. This is a quiet, relatively inexpensive and beautiful base for exploring the Trois Vallées but don’t expect huge amounts of raucous après-ski activities – the heart and soul of village life is what it’s all about here. Despite the fame of the Aosta Valley, La Thuile has somehow managed to remain relatively undiscovered. If you like quiet slopes and an uncrowded, purpose-build resort without a wild après-ski scene, this attractive old mining village is ideal. La Thuile is popular with families and beginners, thanks to its excellent, easy slopes and free childcare facilities! 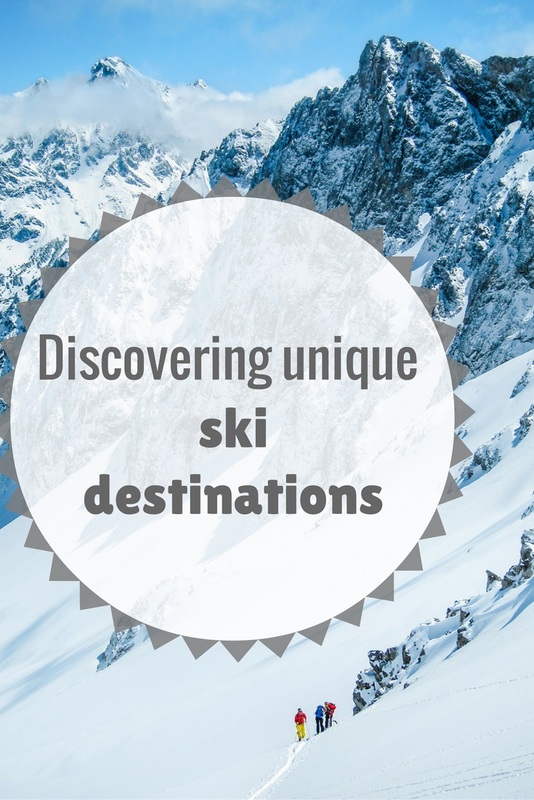 You can ski to the village of Mont Blanc or pop over the border to France and neighbouring village of La Rosière if you’d like to venture a little further afield. The pretty village centre boasts several shops, restaurants and bars to enjoy, but without the throngs of après-skiers you will meet in other European resorts. 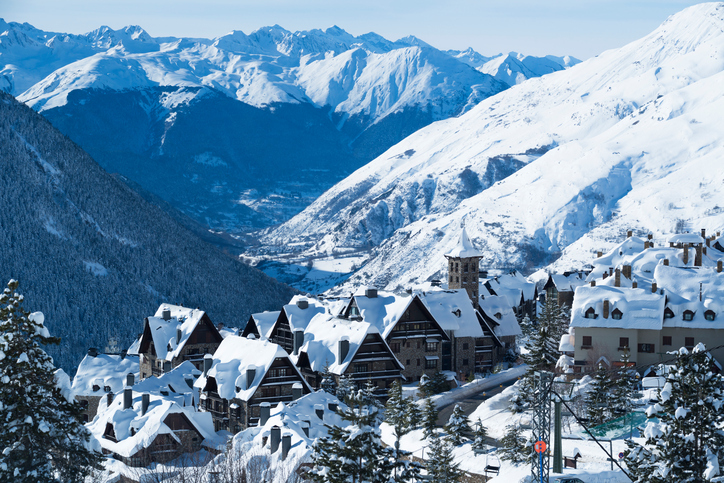 Tucked away in the Northeast of Spain, this resort in the Spanish Pyrenees provides some 4,700 acres of ski-friendly snow in Val d’Aran, and is even frequented by Spain’s Royal family. Sophisticated Baqueira-Beret has just over a 1,000 metre vertical drop and 146 kilometres of downhill runs to enjoy, along with some of the best snow cover in Europe. Expect long runs catering for all standards; however, most are simple yet exciting while off-piste variations are possible from almost every marked run. The majority of the skiing is for intermediate skiers but some steeper runs like Escornacrabes (translates as: where goats tumble) provide ample challenges for experts and goats alike! The resort is easily accessed from the hillside villages of Baqeira, Arties, Salardu and Tredos but for après-ski you’re likely to want to stay within the resort area to make the most of the late-night Spanish scene of tapas bars, restaurants and nightclubs. Aside from Ljubljana being an increasingly popular city break location, Slovenia’s countryside is simply picture-perfect. Here is where Germanic, Slavic and Romanic cultures meet and none the less in Kranjska Gora in the far north west corner of Slovenia, also where a major World Cup downhill race which takes place each March. This charmingly cosmopolitan Alpine area boasts a unique culture and cuisine in addition to its eighteen good quality ski slopes reaching altitudes of up to 1,215 metres. From December until mid-April, the resort satisfies intermediate and advanced skiers with its numerous red and black trails and beginners can take advantage of the excellent ski schools available in town. For non-skiers, Slovenia can’t fail to impress with its unspoilt natural scenery, as well as the elegant capital city of Ljubljana with its Christmas Markets, and ever-popular Lake Bled, both just a few hours’ drive from Kranjska Gora. Now for a bit of a wild card: Mzaar Kfardebian is the region’s largest resort town and is not only renowned for its excellent skiing it has après-ski so good that the locals have been known to make the trip up the mountain just for a night out. The resort’s 80 kilometres of runs are varied in difficulty and many are wide and tame enough for beginners. Skiers, snowmobilers, snowboarding addicts and paragliders flock to Mzaar from mid-December to early April for its pristine snow and lively atmosphere. Excellent cross-country skiing can also be enjoyed and, on a clear day, you should be able to spy the coast and Beirut just an hour’s drive away.